Before reading her letters, I decided to read the book that promised to reveal Cather’s own story of leaving Virginia as a young girl to live in Nebraska – My Antonia. Cather tells the story as Jim Holland, now a successful East Coast lawyer with an unsuccessful personal life, as he remembers his youth on the prairie. His reminiscences center on a beautiful immigrant girl as they both arrive in Nebraska in the late nineteenth century – he at ten years old to live with his grandparents on the farm, after the death of his parents; Antonia at fourteen to struggle through a new way of life with her immigrant family, far from Bohemia where her father played the violin. Antonia’s experiences reflect the struggles of immigrants trying to learn the language and a new way of life, as they also try to preserve their own traditions – some in conflict with their new world. Antonia is a strong character, and her life is the lynchpin for the many stories that Cather weaves, subtly revealing how those pioneers coped in an unforgiving and hard existence. Following Antonia as she grows into a woman, cheering her as she defies expectations, worrying over her as she falls back into farm life from her foray into the big city, make for a good story, especially as she satisfyingly circles back to her beginnings. 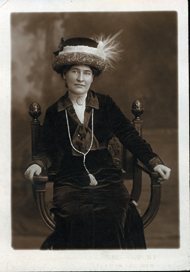 Willa Cather would not have approved of my reading her fictional first person narrative – My Antonia – in paperback; she fought hard with her publisher to keep her book from an adaptation that would “cheapen” it. Cather commissioned illustrations from Bohemian artist W.T. Benda for the first edition of My Ántonia, but the publisher did not include the images because of the cost; they are in my paperback version. Having slipped Cather’s paperback into my carry-on, I had added satisfaction recently, as I was one of only a few on the plane who could continue reading as others around me powered down their electronics. Reading this old classic was refreshing – a good story – hard to find sometimes. Now, I look forward to reading Cather’s letters and cannot help thinking their publication is a good thing, despite her reservations. After all, it may inspire others – as it did me – to find her fiction again. On those days when the walls are closing in, and fond memories of better times offer a respite from the dreariness of life, would it be better to tread water and tolerate life, or escape – go back to that turning point that made all the difference? Could you? Would you? 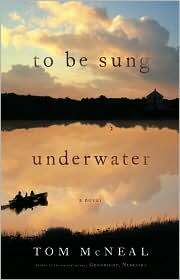 Tom McNeal’s novel – To Be Sung Underwater – offers that option. As a fan of Wallace Stegner’s Crossing to Safety – one of my all-time favorite books that I think everyone should read, I was pleased to find that McNeal was a Wallace Stegner fellow at Stanford University. McNeal started writing late for a writer (in his fifties) and worked in his own construction company for a time; he has that self-made-man flavor in his writing. Like Stegner, McNeal connects his own real world credits to a story involving people you might know or even relate to, and captures the essence of living in phrases you will want to write down to remember and quote. The characters seem to be looking for – and sometimes find themselves: Judith’s mother reverts to free spirit and enjoys life more after the divorce, her father returns to the simple life of his youth and prefers affairs with women who have no expectations of him, and Judith – trying to recover her spirit of lost youth and zest for life. To tell what happens next would spoil the story for you… but there is no happy ending here. 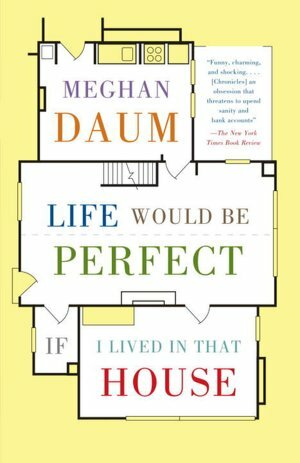 I vacillated between heartbreak and unrelenting wonder at McNeal’s descriptions of love, marriage, and life. 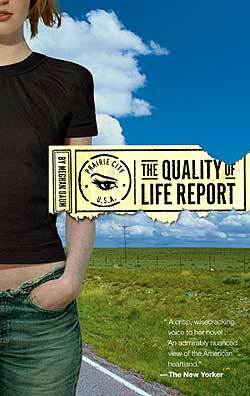 This is a book worth discussing, after a long slow read – in a book group, or with some good friends.